Are you looking to achieve maximum power without wasting a lot of space? How about an edge card connector built specifically for HighSpeed applications? The core design of the EC.8 embodies HighSpeed performance, offering transfer rates of up to 24Gbps. An ideal connector for Industry 4.0 applications such as IoT and cloud computing. Besides fast data transfer rates, this edge card connector also offers the following advantages: Connecting a PCB directly to the EC.8 saves space and resources, because of the omitted material and fitting costs for male multi-pin connectors. One technical advantage originates from the reduction of resistances and influences that can have an effect on the signal. Finding the right edge card connector for you application is easy with our EC.8 and its industry-proven 0.8 mm pitch, available in variations of 20 to 200 pins, in steps of 20. The EC.8 family underwent comprehensive testing, in which proper operation during thermal cycles, exposure to shock and vibration, and even after 500 mating cycles, was demonstrated. 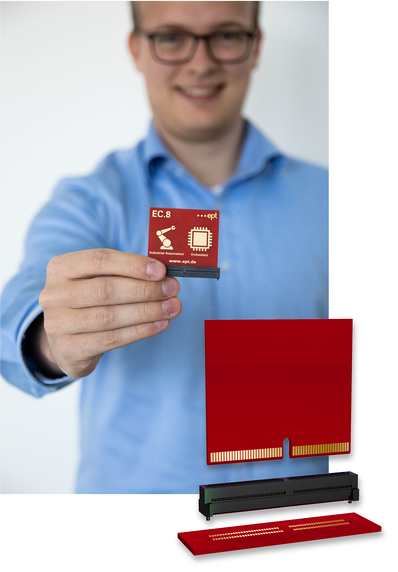 The edge card connector principle enables data transmission rates of up to 24 Gbps. 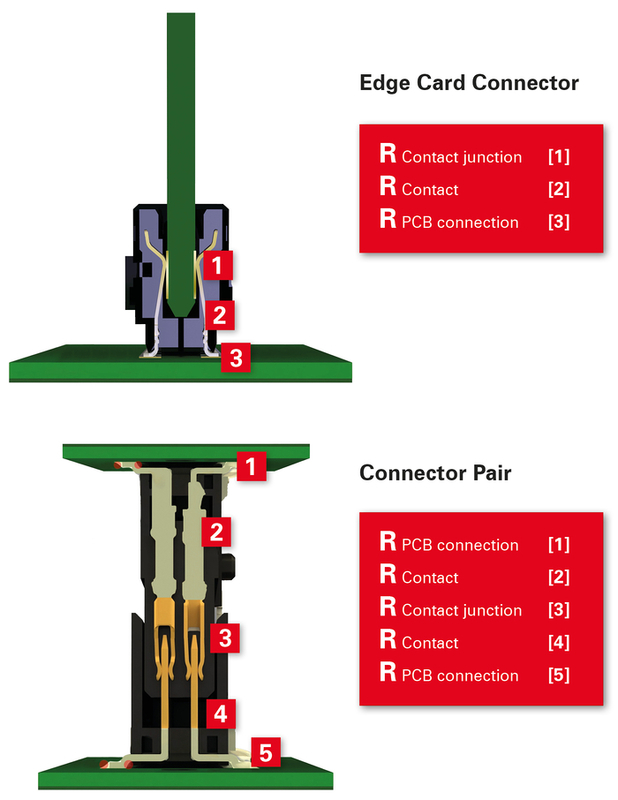 In contrast to conventional connectors, edge card connectors do away with diverse obstructions such as direction changes, reflections and cross section changes, as a clear signal transmission calls for. 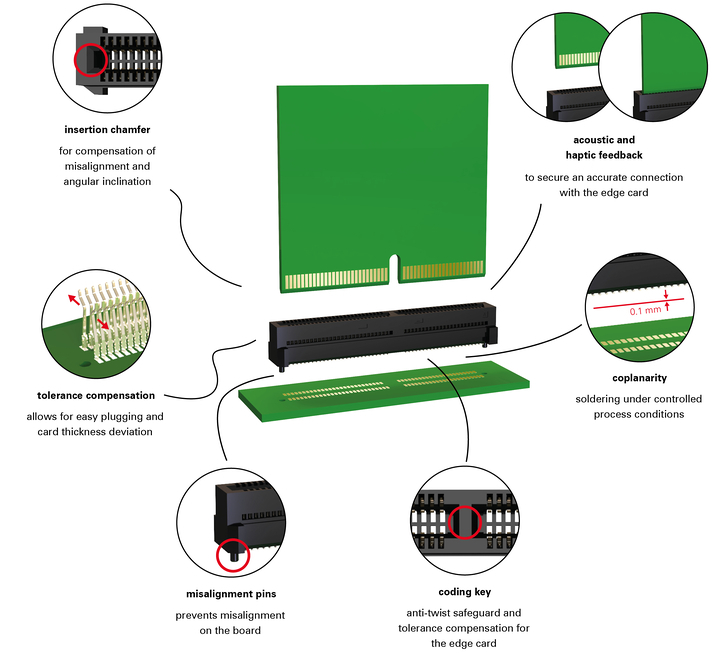 The edge card connector enables direct contacting of the PCB without corresponding mating connector. In comparison to a female-male pair, there are therefore fewer contact points and transitions, this having a positive effect on current carrying capacity and data transmission properties. 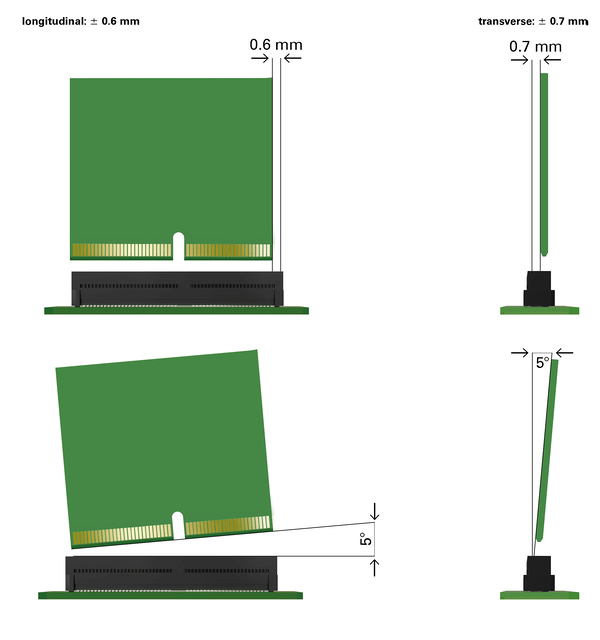 The EC.8 SMT edge card connectors tolerate an offset of 0.6 mm in the longitudinal axis and 0.7 mm in the transverse axis during insertion. With the EC.8 edge card connectors, the daughter card can be inserted in the EC.8 at an angle of up to 5° in the longitudinal axis and transverse axis. How can EC.8 direct connectors be processed? The direct connectors are processed using surface mount technology (SMT). The soldering is done directly on the printed circuit board. Numbers of poles 20 to 140 are supplied in market-compliant tape and reel packaging; this enables fully automatic processing via pick-and-place. Numbers of poles 160 to 200 are packed in the tray as standard; tape and reel packaging is also available on request. However, this also uses a wider strap, which is less common. Why should a direct connector system be used? High data communication rates can be realized using direct connector systems. In comparison to two-part connector systems, the negative effects of the second connector on the signal no longer apply. 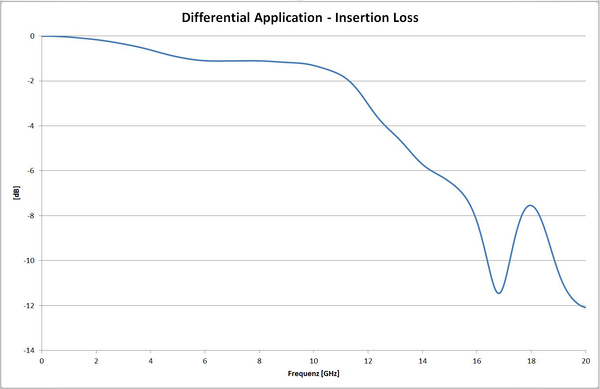 This is primarily due to the reduced number of contact points, less cross section changes in the conductor and associated fewer direction changes by the signal. Consequently a high performance can also be attained with a small footprint. 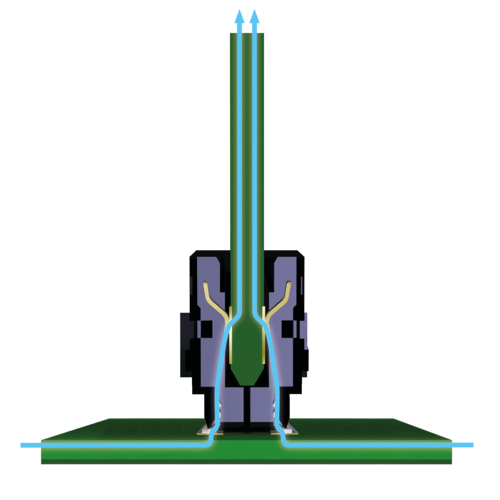 The contact resistance is also reduced in comparison to two-part connector systems, this resulting in increased current carrying capacity. Is the EC.8 connector system compatible with the current daughter card specifications? The EC.8 connector system supports daughter card systems with a thickness of 1.60 mm. If the number of contacts is more than 80, a web is also integrated to prevent incorrect connection. This can optionally be omitted in the 60-pole version. The EC.8 connector system corresponds to the current market standard and is compatible with the processed boards. What applications are EC.8 direct connectors used for? Thanks to their versatility, EC.8 direct connectors are used for diverse applications in numerous sectors. In the field of automation technology and IoT devices, they typically benefit from their small grid and high data transmission rates. What offset do EC.8 direct connectors tolerate when inserting the daughter card? An angular offset of up to 5° can be tolerated in a longitudinal and transverse direction. An offset of 7 mm vertically and 6 mm parallel to the longitudinal axis of the connector can be tolerated. What data rates can be transmitted? 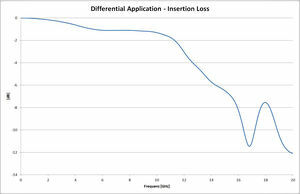 The data transmission rate is 24 GBit/s if an insertion loss limit of -3dB is considered. This is attained at a frequency of 12 GHz. The data transmission rate results from this. What currents can be transmitted? Are EC.8 connectors UL recognized components? Yes, EC.8 connectors from ept are UL recognized components in the USA and Canada. Are the EC.8 connectors RoHS compliant? RoHS (Restriction of the use of certain Hazardous Substances) is a directive for restricting the use of certain hazardous substances in electrical and electronic devices.